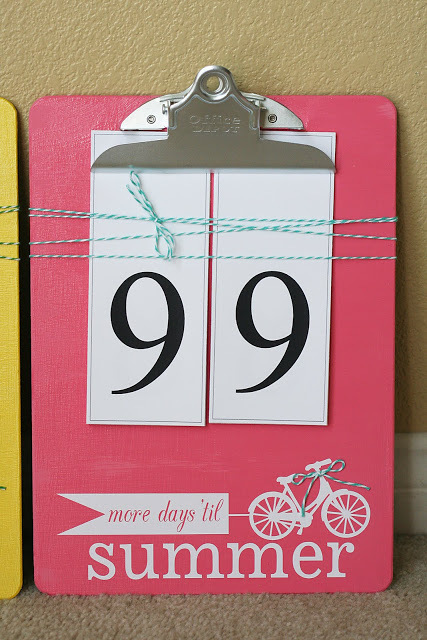 Welcome to Day 21 of 31 Days of Getting Organized by Using What You Have. 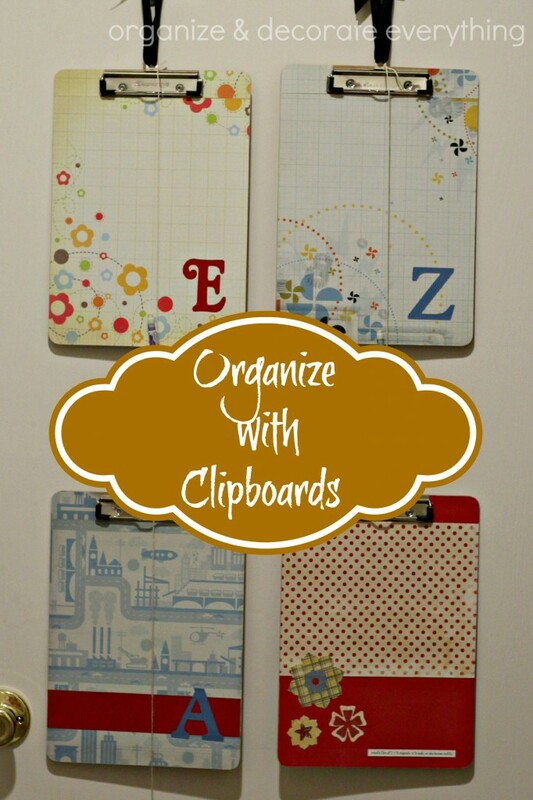 You can buy a clipboard for under $1 and with that you can get multiple organizing uses. Keep them as is or dress them up. Because of their shape and size they’re easy to use, transport, and store. 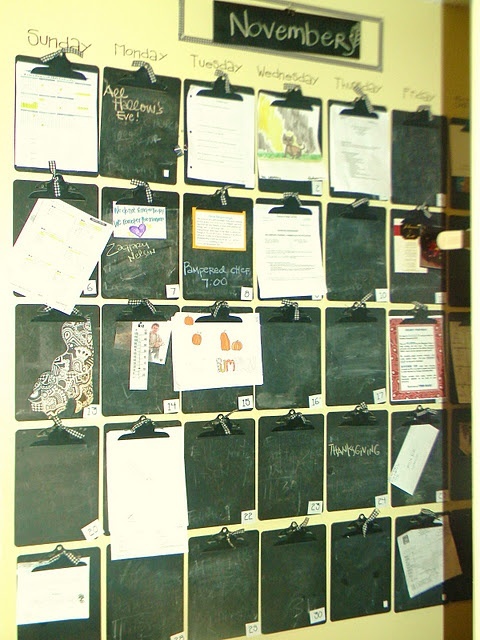 We’ve been using clipboards for the kids homework for at least 10 years. 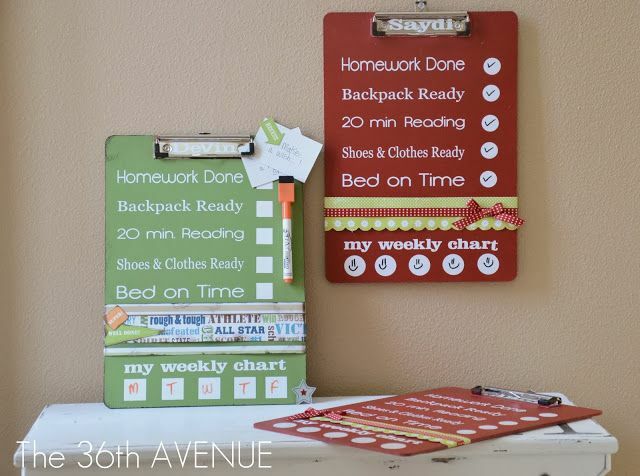 They clip reading sheets, permission slips, homework papers, sports or scout papers to them to keep track of the papers until they need to be turned back in. Since the clipboards create a hard surface they are perfect for doing the actual homework on too. I attached a mechanical pencil to the board to keep it handy. 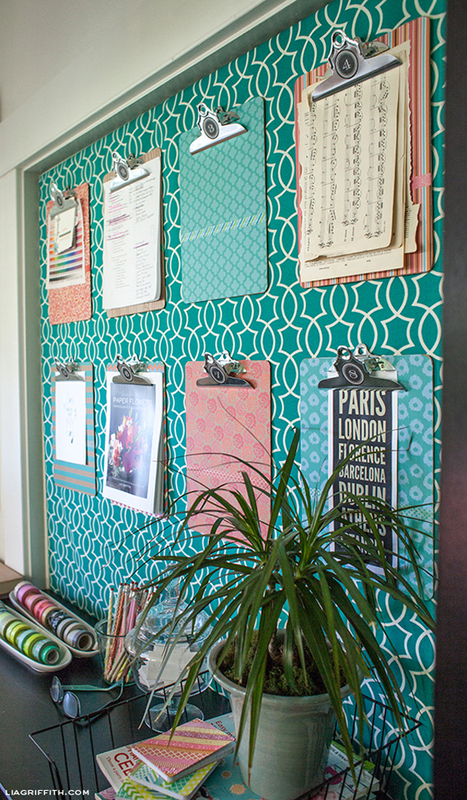 I mod podged scrapbook paper and an initial to each board to give them more personality. 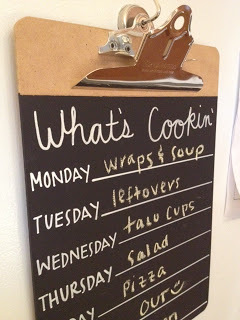 Okay, now I want to use even more clipboards throughout my house. What about you? Some of them would make great gifts too. 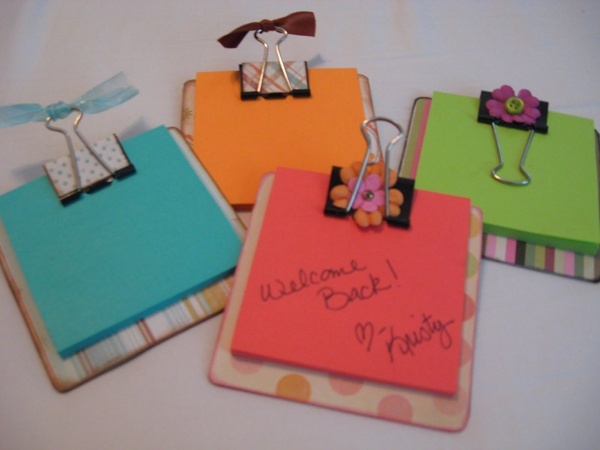 I love the little mini clipboards that hold post-it notes but cannot find the directions to make them. 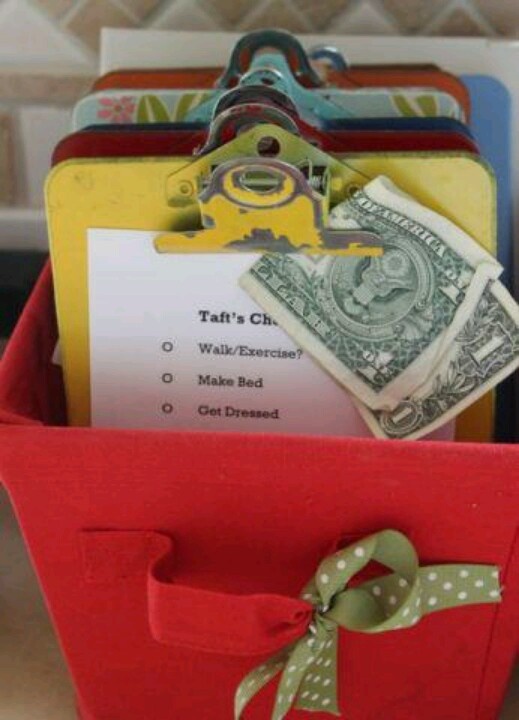 I clicked on the Dollar Store Crafts link below the picture & searched but to no avail. Could you email me with a link or directions. I’d love to make them for the teachers at my school as welcome-back gifts.